When I was accepted to be on the review team for The War on Christmas, I was given a couple of other e-books as thank-you gifts. 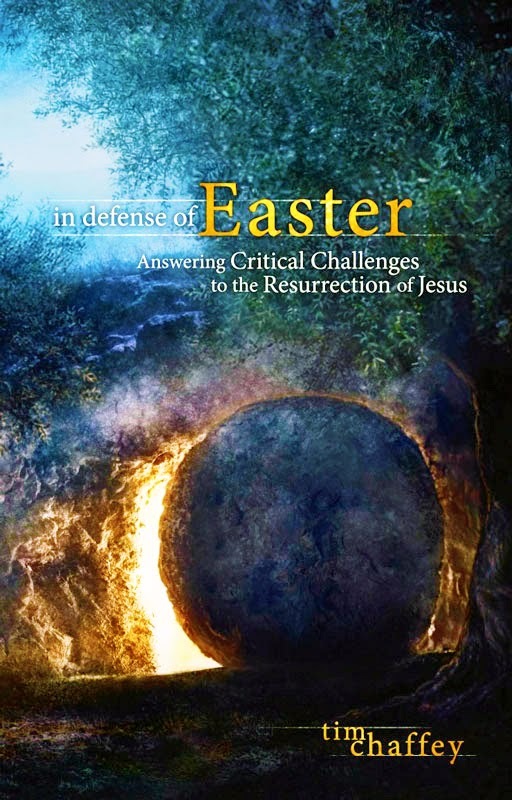 I was not asked to give a review at all, let alone, a favorable one, but I thought you should know how I obtained my copy of Tim Chaffey's In Defense of Easter: Answering Critical Challenges to the Resurrection of Jesus. Then I put it off. 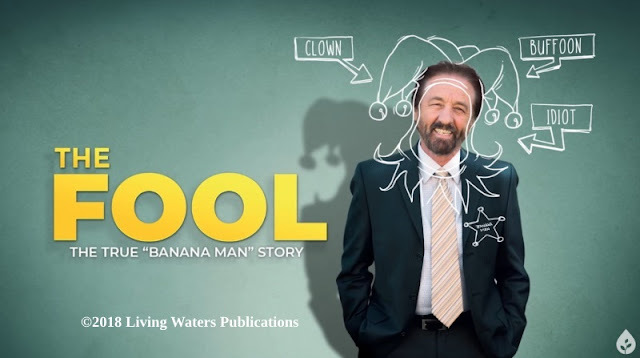 To be direct with you, I wasn't all that thrilled with another book giving a defense of the faith on this topic since there are so many others available, and many articles on apologetics sites. Still, the topic is important, so I carved out some time for it. Turns out that I was getting set to ride down the wrong trail. In Defense of Easter has a somewhat different approach in some respects than other books, and there is information on bad arguments against the resurrection that were not around before, plus some material that I had never heard of. This is not a cumbersome tome at 216 pages (softcover), and also available as an e-book (like mine). You can read it a little at a time or dive in. Section One is "The Case for the Resurrection", and has 5 chapters about evidences for the resurrection of Jesus, including infallible proofs and remarks from historians. Section Two is "Alternative Theories", chapters 6-17. These include some of the nonsense that is spread by misotheists on the Web, some of the more common excuses to disbelieve (such as the stolen body, wrong tomb, faked death, not really but mostly dead), and Chaffey also dispenses with some of the esoteric spiritual resurrection concepts. Chapters 18-25 comprise Section Three, "Other Relevant Questions". For me, Tim sets this book apart from other apologetics books in this section. Chapters include material on alleged contradictions, how the resurrection of Jesus was different from other accounts of people that he raised from the dead, how Genesis ties in with the resurrection, how the resurrection is a source of comfort, and whether or not Easter is a pagan holiday. That last one about accusations of Easter being a pagan day was a bit of a disappointment for me because I wanted more information to corral that wild horse. Still, there is enough information to put the "You're a pagan" judgmental nonsense away, and he made some excellent points. Also, perhaps Tim was thinking that, since he works at Answers In Genesis (as well as being involved in Midwest Apologetics), AiG has done several articles to deal with the "pagan" accusations. If you want to see those and other articles, I assembled several at "Is Easter a Pagan Holiday, and Should Christians Celebrate It?" So, I reckon that my "complaint" on the lack of discussion is rather small after all. I recommend In Defense of Easter. It can be obtained from the publisher, Midwest Apologetics (but I did not see a link for the e-book there), Answers In Genesis (both softcover and e-book), and other sources.